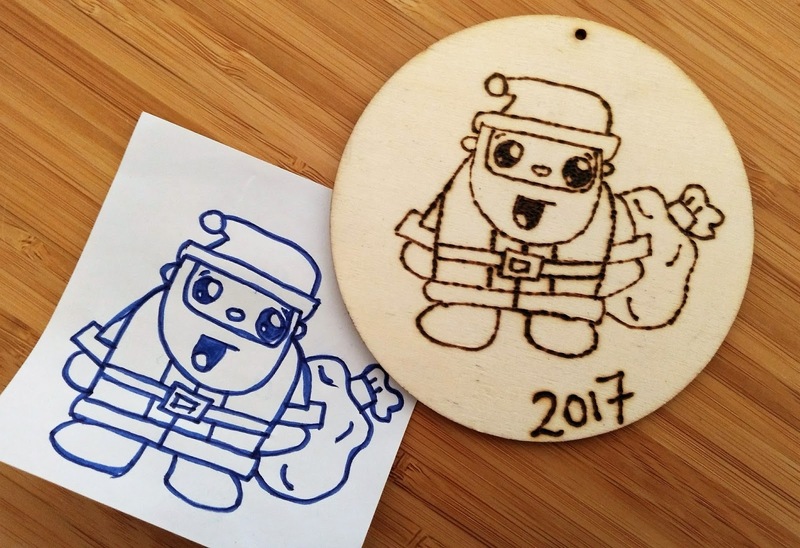 When I was in Wales in September I asked Kat to do some little sketches for me so that I could make some sample Christmas gifts as I am hoping to offer these personalised decorations for sale this year. After going straight to YouTube to get some inspiration she provided me with this little Santa Claus drawing which I have made into a decoration for her Mum's tree this year. I'm really pleased with it but I particularly love turning young childrens' drawings into keepsakes, which is what I'm hoping to focus on doing this Christmas. Once I've got my samples and wooden blanks ready to go I plan to set up a facebook page and will post details on here. Keep your eyes peeled!